Professor Markoulis is the Dean of the School of Health Sciences and coordinator of the Postgraduate Programme in Educational Psychology. He studied at the Universities of Thessaloniki and Toronto-Canada. 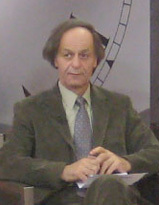 Before joining NUP he served for a number of years as Head of the Department of Psychology at the University of Thessaloniki. His research interests focus on the development of the socio-cognitive processes along the life-span and on the impact of internal and external factors involved in the formation of political ideology. He was a visiting scholar and invited speaker in seminars and colloquia at various foreign universities, member of editorial boards and committees of learned societies and paper reviewer of international journals of Psychology.